Caritas au pair-senter supports au pairs and host families in Norway. You can contact us with questions related to the au pair program and your situation in Norway. We assist you in small practical problems as well as challenging legal issues. We are also available to help resolve conflicts through dialogue between you and your host family. If we do not have the necessary expertise, we will guide you to the correct offices. The centre is run by support from UDI, but we are not a part of the Immigration Authorities. We organize information meetings for au pairs and host families. In these meetings you will learn about the au pair program and connected legislation, for example about tax and holiday. In addition, we arrange weekly network activities for au pairs in Oslo. One Sunday a month we also organize activities in Oslo, Bergen and Stavanger. Please check our website and Facebook page for upcoming events. 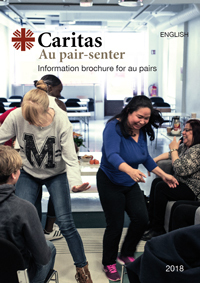 Caritas au pair center is part of Caritas Ressurssenter. You are welcome to use services like health councelling, legal support, internet access, Norwegian courses and computer courses. Download our English information brochure for au pairs or visit the center to get a printed version. Download our English information brochure for host families or visit the center to get a printed version. How can I contact Caritas Au Pair Centre? Visit us in Storgata 38 (entrance from Hausmannsgate) in Oslo Monday – Friday from 10-16 and Thursday from 17-20 to talk to one of our advisors. Call us at 404 28 460 Monday – Friday from 10-15 and Thursday 17-20 to talk to one of our advisors. Send us an e-mail at aupair@caritas.no if you have questions about the au pair program. We answer inquires as quickly as possible. Follow us on Facebook for upcoming events and information. You can also send us questions via Facebook. 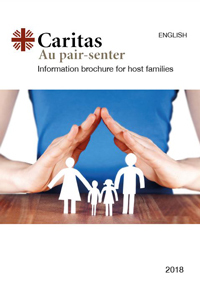 Caritas has information and activities for au pairs and host families. You can find information below relevant to whether you are an au pair or host family. Are you an au pair or wish to be one? Information about your rights and duties as an au pair. Are you a host family or wish to be one? Information about your rights and duties as a host family. Caritas au pair-senter arranges several events for au pairs and host families. The different events are information meetings for au pairs and host families and social activities for au pairs. Free of charge. Activities we post on Facebook will show up here. Contact us if you have questions about the activities.